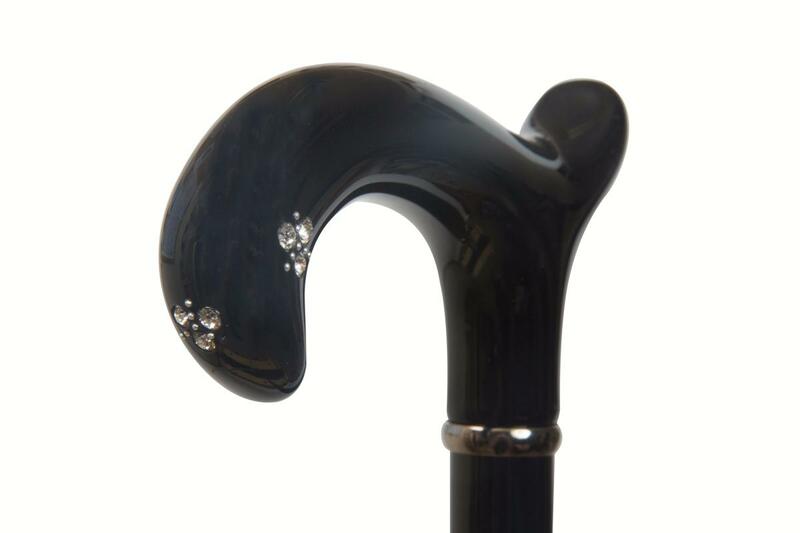 A very glamorous, formal walking cane. The black, hardwood shaft is fitted with an elegant black derby handle, set with sparkling crystals. The overall height is 90cm (34"). Fitted with an unobtrusive black non-slip rubber ferrule. Ferrule diameter 19mm.